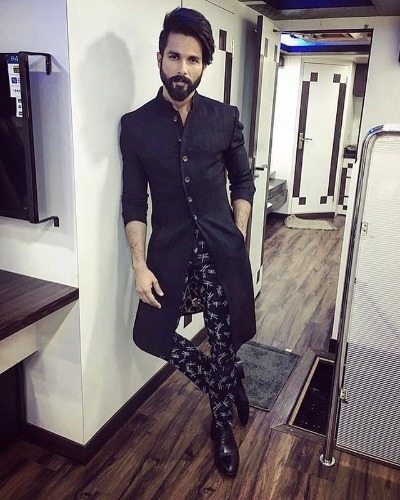 Inside Photos: Alia Bhatt, Sidharth Malhotra, Shahid Kapoor And Others At Star-Studded Wedding Reception! 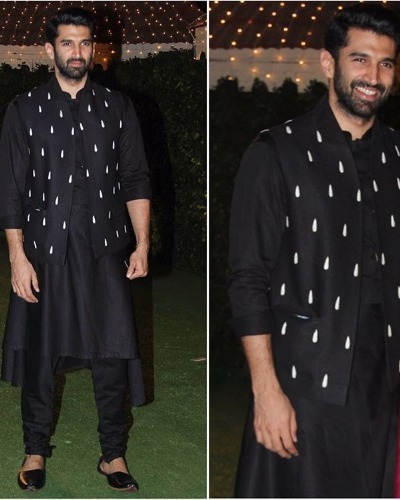 Filmmaker Ronnie Screwvala threw a grand reception for his daughter Trishya as she married to her beau Suhail Chandhok in Mumbai on January 20, 2017. 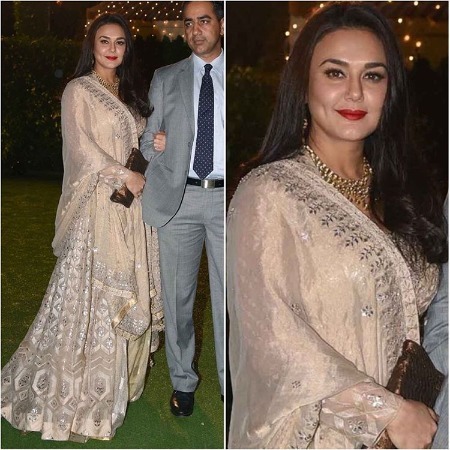 The wedding reception was attended by the who’s who of the Bollywood including Sidharth Malhotra, Ali Bhatt, Amitabh Bachchan, Shahid Kapoor, Karan Johar, Aditya Roy Kapur, Vidya Balan, Dia Mirza, Rekha, Vivek Oberoi, Neha Dhupia, Divya Khosla Kumar, Suniel Shetty, Katrina Kaif and Sonakshi Sinha. 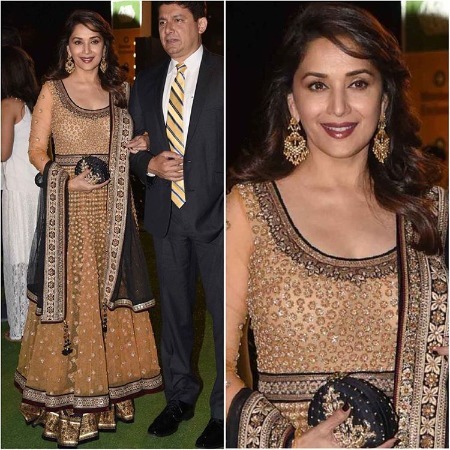 Besides B-town stars, industrialist Neeta and Anil Ambani were also present for the big fat wedding. 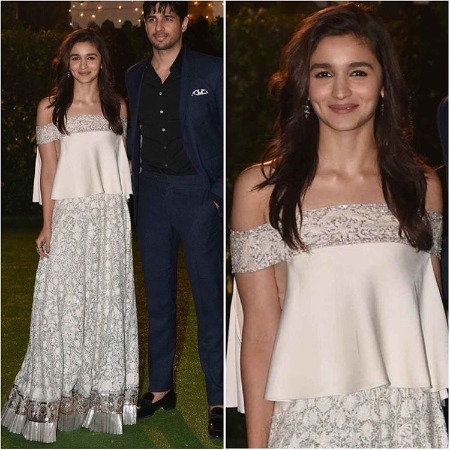 The highlight of the evening was adorable couple Sidharth Malhotra and Alia Bhatt, who arrived together at the wedding reception. The duo has never admitted to being a relationship with each other but their recent appearance at the wedding adds fuel to the fire. They stepped out from the same car and were all smiles for the shutterbugs. 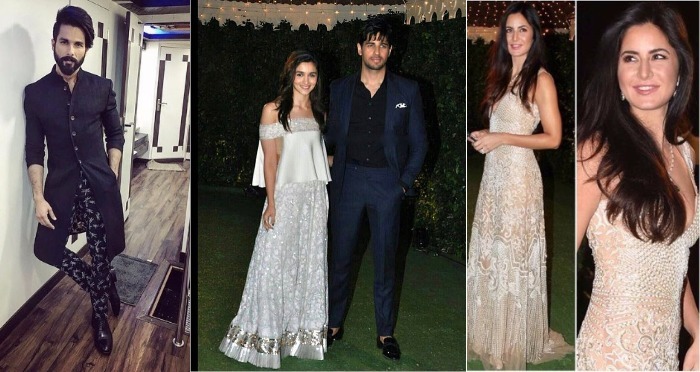 Nevertheless, Alia looked pretty like always in off-shoulder traditional outfit while Sid looked dapper in a suave blue suit. The star-studded affair was high on style and glamour. 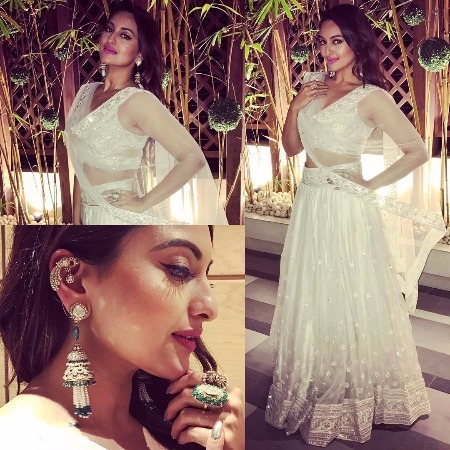 Sonakshi Sinha looked beautiful in white Abu Jani Sandeep Khosla’s sharara while Katrina Kaif looked drop-dead gorgeous in an elegant gown. Neha Dhupia picked stunning white Manisha Malhotra designer outfit while Divya Khosla Kumar made a dazzling appearance in yellow Anju Modi Anarkali dress. PHOTOS: The Best and Worst Dressed Bollywood Divas From The Filmfare Awards 2017 Red Carpet! 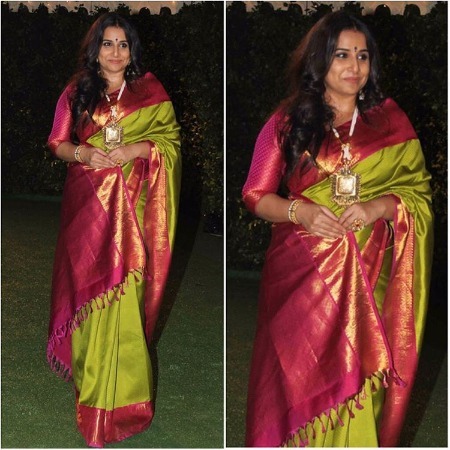 Check out photos below from the wedding reception! Previous : LFW Summer/Resort 2017: Sonakshi Sinha Slays As She Walks The Ramp For Monisha Jaising! Next : Being Single to Facing Racism: 7 Bold Revelations Made By Priyanka Chopra On Koffee With Karan 5!